Emergency Mitigation Technician Academy was founded with the belief that everyone wins with education. Technicians, Business owners, Homeowners, Insurance companies. 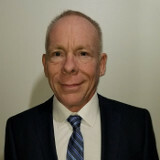 Mark Cornelius founded EMTA in 2014. He is the President of DRI and is still active getting his hands dirty and feet wet in the restoration and cleaning industry. With more than 30+ years he has been an approved IICRC instructor since 2008 and is an IICRC triple Master. Mark is also a Fire Fighter and EMT-I for 10+ years and also a NPQ-1 Fire Instructor. Rudy Alford has been in the restoration industry for 12+ years. Rudy holds IICRC Master Water, Fire and Smoke Restorer. 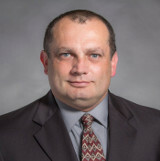 Rudy is also approved as (CE) Instructor 7+ years in Georgia, Alabama, Tennessee, Florida & South Carolina..
Thomas Cermak has been in the cleaning and restoration industry for many years and has owned more than one successful company. Thomas has a passion for helping others. He is IICRC triple Master and will be teaching several subjects.